Dimensions: 5 ft. 2 in. x 8 ft. 3 in. 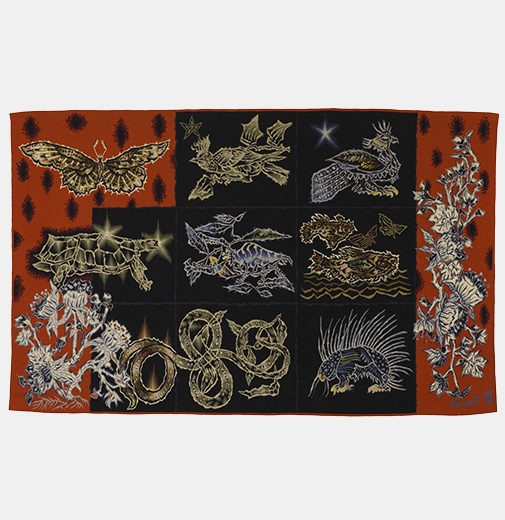 Inspired by an encounter with one of the largest surviving tapestries from the Middle Ages, the Apocalypse d’Angers, Jean Lurçat stirred his French colleagues to revive the spirit of tapestry weaving as an art form during the late 1930’s. By 1939, with a new and bold visual vocabulary, Lurçat was making cartoons solely meant for the production of tapestry on hand-operated looms in tradition techniques. 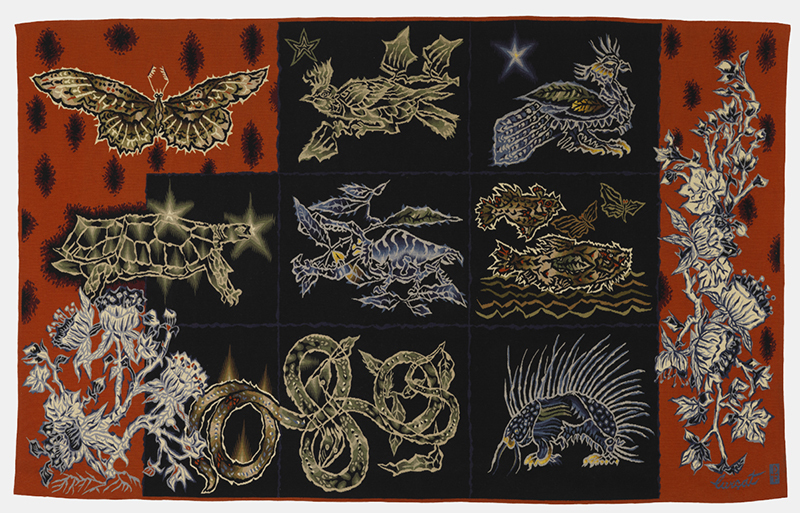 His single-handed reform of tapestry production during this time centered on bringing the art back to its medieval traditions by drawing on tapestry as a medium in and of itself. The simplicity of the design and the strict palette of this tapestry match Lurçat’s own intuition and quest to inspire monumentality in the art of weaving.